OK people, we need to talk about pesto. 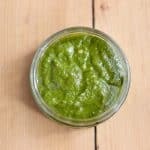 I’m a bit in love with pesto, but after a recent chat with a friend, it seems like there are people who aren’t aware just how simple and amazing homemade pesto is. So let’s do it – this is how to make pesto. No ifs, not buts; just basil, pine nuts and parmesan. It’s fresh. It’s vibrant. It’s delicious. It’s amazing. Think I’m being too excitable? After all it’s merely a store cupboard stable that you can by in a jar for less than a pound? Well, whilst you are entirely entitled to have an opinion, I think you are wrong. 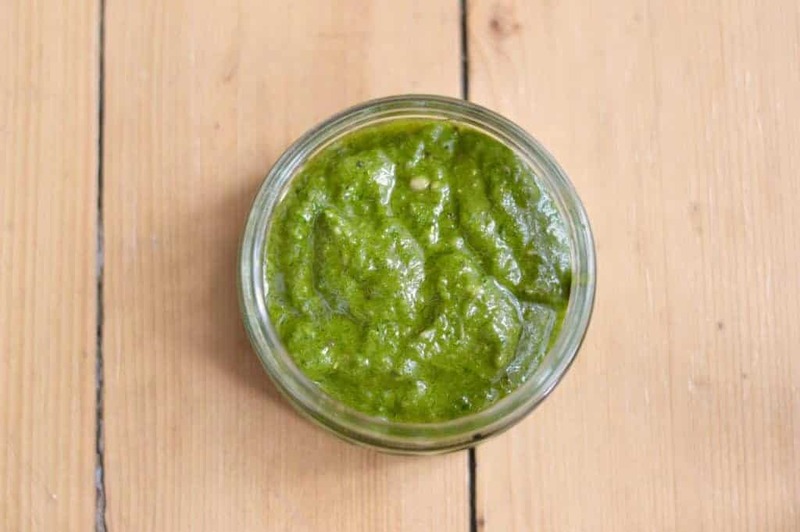 Fresh, homemade pesto is one of the greatest food pleasures that summer bring. When you make pesto all sorts of happy things happen. Sunshine on a rainy day, happiness when you’re feeling blue – those kinds of things. OK, so perhaps not literally, but I use it with gnocchi, use it to line pasty pizzas (look up ^^), use it as a dip for roasted cauliflower, hell I even through it into guacamole for the ultimate in pasta comfort food! Pesto brings flavour. Pesto brings freshness. Pesto brings colour. 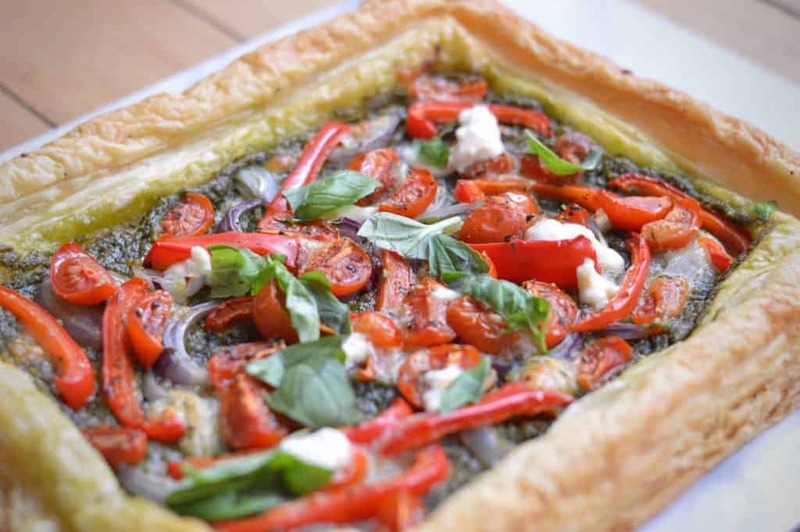 Pesto brings a vibrancy. Pesto brings a little bit of extra joy to your dinner. If there is a time to make pesto it’s also definitely summer. Sure, you can buy the basil in shops all year round, but once you make with fresh, summer basil that you pick up locally – or better yet, have grown yourself – your tastebuds will know the difference, I guarantee it. But don’t just take my word for it, I’m merely the messenger. Pesto has a long history in its home province of Liguria, Italy. As we know it today, with basil, it seems to come from the mid-eighteenth century, but a sauce of nuts, herbs and cheese dates back to Roman times. 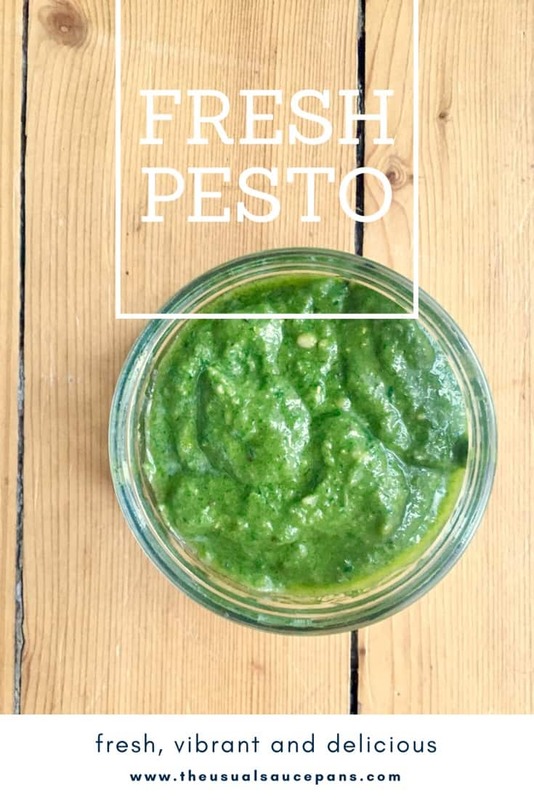 Defined by my Companion to Food as a ‘sauce that does not require cooing’ that goes particularly well with pasta (see recipes above for more) and fish, pesto is today synonymous with Italian cooking the world over. But so important is its status in Genoa – its hometown – you can now take a jar on a flight, despite it not meeting the usual liquids-on-a-plane rules. So, now we all agree that it is amazing (right? ), how do you make pesto? For this recipe I’ve given you two methods. 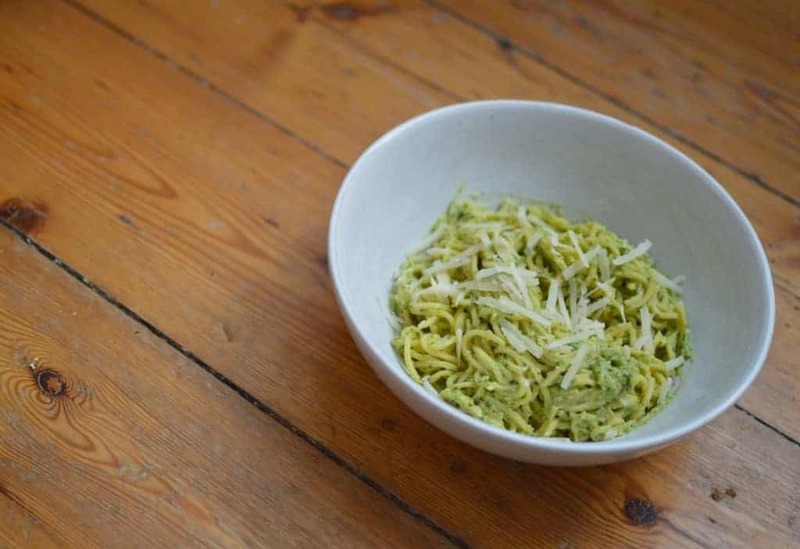 One is with a mortar and pestle – the way you are ‘meant’ to make pesto – that is quite intensive although gives a fantastic flavour (and is satisfyingly therapeutic). The other is the method I use when I make pesto – using a food processor. I leave it entirely up to you which method you pick, there will be no judgement from me whichever way you go. Maybe it’s a food processor on days you need it quickly; the mortar and pestle for those days you need a little stress relief? Let me know how much you love pesto and what you use it in – tag The Usual Saucepans on Facebook or Instagram!